The UK Coach Rally returns to its traditional April weekend for 2015 and all involved are looking forward to much better weather conditions than were endured for the Diamond Jubilee Rally in 2014. Despite the conditions, 2014 continued the high standard of vehicle entries and this year’s event on 18/19 April will challenge operators to achieve even higher standards. 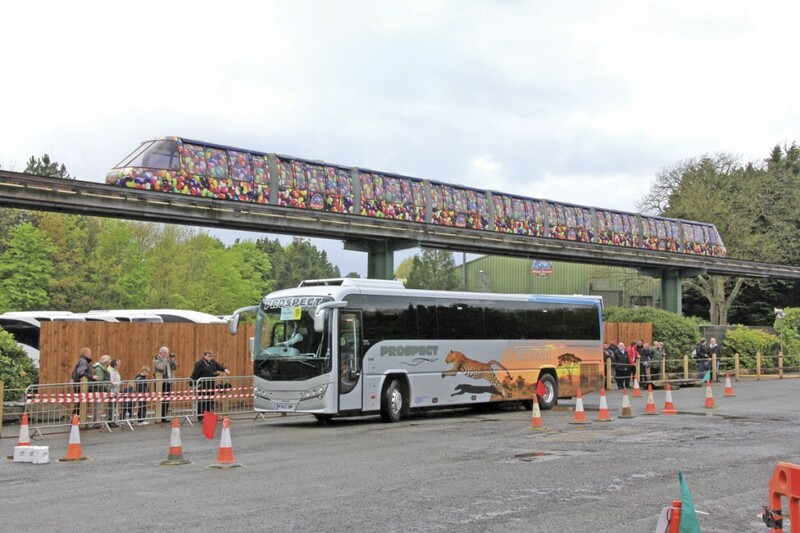 At the time of going to press, organisers Coach Displays Ltd confirmed that 34 operators had already been allocated their entry numbers with the number set to increase towards the site’s maximum 50 vehicle capacity. 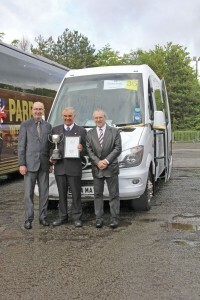 2014’s champions, Parrys International and Prospect Coaches are already confirmed as returning to defend their titles, Parrys International having taken Coach of the Year for the past four years and Steven Davies from Prospect Coaches being crowned Coach Driver of the Year at his first attempt. They will face strong competition from show regulars like Epsom, Banstead, Bibbys, Kenzies, Dews and Stanley Travel together with newcomers including Pulhams, Marshalls and the return of Galleon Travel. The vehicle entrants will include the first example of Plaxton’s new Cheetah XL midicoach entered by Prospect Coaches, alongside their Volvo based Plaxton Panther Cub. 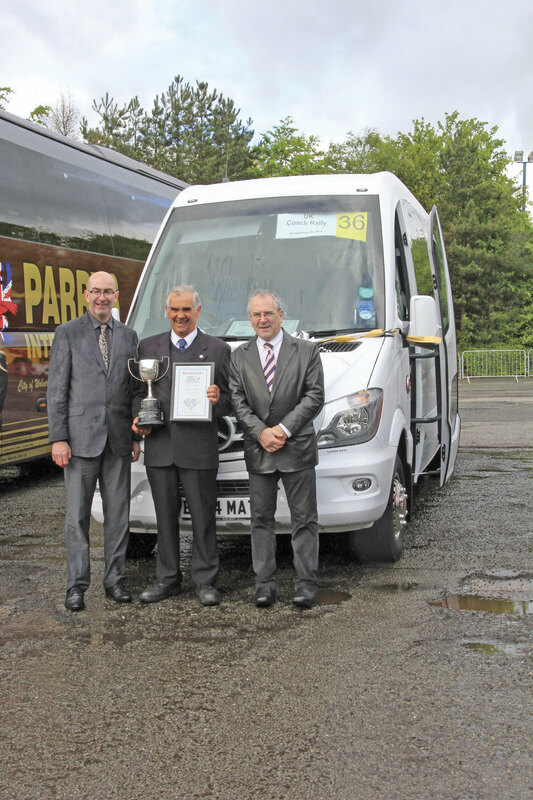 Parrys International are to enter the very last Neoplan Starliner built for the UK which has recently been completed at the Neoplan site in Plauen. Unlike many of their previous Starliners, the final two examples have been fully completed to Parrys International’s exacting specification in Plauen, a foretaste of the future role for that site. On the Saturday morning competitors will complete an approximately 50-mile road rally route through the testing north Staffordshire countryside (Ordnance Survey Landranger Maps 118/119 recommended) before returning to Alton Towers for the afternoon driving tests. In the evening there will be a Dinner Dance at the Alton Towers Hotel with the pre-dinner drinks sponsored by Alton Tower resorts. Entrants will be out bright and early on Sunday morning to add the final polish to their vehicles ready for the thorough attention of the judges. The successful drivers from the Saturday tests will then take their places in the driving test final prior to the popular directors challenge as senior management from some of the participating companies tackle the driving test course. By mid afternoon, all the results will be in and the presentation of awards will take place in the main arena. Alongside the entrants in the rally itself, there will be a display of heritage vehicles including examples from Webbs, Kenzies & York Pullman and a trade exhibition featuring a variety of manufacturers and suppliers. B.A.S.E will be showing a new MAN RR8 293bhp Euro6 based MOBIpeople 12.5m Explorer 70 seater coach destined for KB Coaches of Gloucestershire. The Portuguese built coach can offer operators a genuine European built product with capacities from 57/59 seats upwards and engine options up to 360bhp. A large luggage capacity plus dual nearside doors supports rapid passenger movement and all models are available in DDA format. BASE have expressed delight with the feedback from operators on both models launched at the 2014 NEC show, the Explorer and 29 to 39 seat Midi-Explorer, and expect to sell in excess of 20 units in the models’ first year. The Irizar UK display will feature its new i6 12.9m demonstrator. Integral construction enables the i6 to achieve 57 seats together with a centre sunken washroom and aircraft lockers on two axles. The vehicle is powered by DAF’s Paccar MX11 271 369bhp Euro6 engine coupled to a ZF EcoLife fully automatic six-speed gearbox. Additionally, it features leather-style headrests, seatback tables, a two-screen DVD system, Bosch audio and climate control. The driver has the benefit of a heated, suspended driving seat, powerful LED lighting, a reversing camera and alarm horn together with reading lamps and an iPod connection for the audio system. Moseley in the South’s exhibit will be a 12.9m VDL Futura 2, which is due for delivery to Rover European of Nailsworth immediately after the Rally. Featuring the DAF Paccar MX11 Euro6 engine and ZF EcoLife automatic transmission combination, the vehicle is specified with 55 seats, DVD and monitors, water flush centre toilet with water boiler above, air conditioning, Webasto heating, reversing camera, dash mounted coolbox, pavement loading lights and a trailer towing attachment. The Moseley in the South team will be on hand to welcome visitors and customers, old and new. MAN’s vehicle exhibit will be a 13.2m Neoplan Tourliner (P20) demonstration coach with a full specification including 53 recliners and a toilet in stock white. Under new General Manager, Paul Gardner, the company will be very well represented with an extensive team present to answer operator’s queries. Accompanying Paul will be: Matt Jacobs, Sales-Region North; Simon Matthews, Top Used Sales Manager; Steve Lilley, Aftersales; Benjamin Schwarz, Aftermarket; and Ajaz Khan, Telematics. Pelican Engineering, importers and distributors of the Chinese built Yutong range have had a very successful year and will be showing an example of the latest TC12 12m coach equipped with 51 moquette trimmed recliners and a centre sunken toilet. Powered by the DAF MX11 400hp Euro6 engine coupled with a ZF EcoLife six-speed fully automatic transmission, it features air conditioning, twin monitors and aluminium wheels. Pelican will be fully represented throughout the weekend, with their suntan cream at the ready. Although Scania continue to be a sponsor of the rally, they will not be exhibiting a vehicle at this year’s event. EVM will be attending although details of their exhibits had not been received before going to press. Members of the team from Bus & Coach Buyer will be present on both days and we look forward to meeting you there.